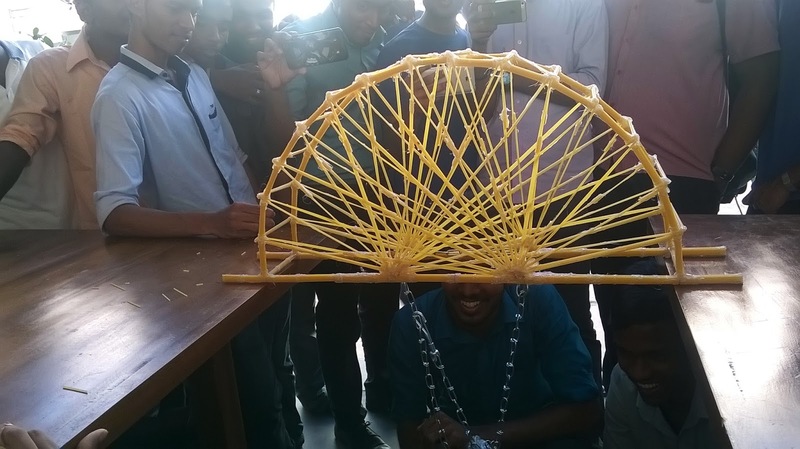 A spaghetti bridge competition was organized by the Department of Civil Engineering on the 2nd of February 2017. 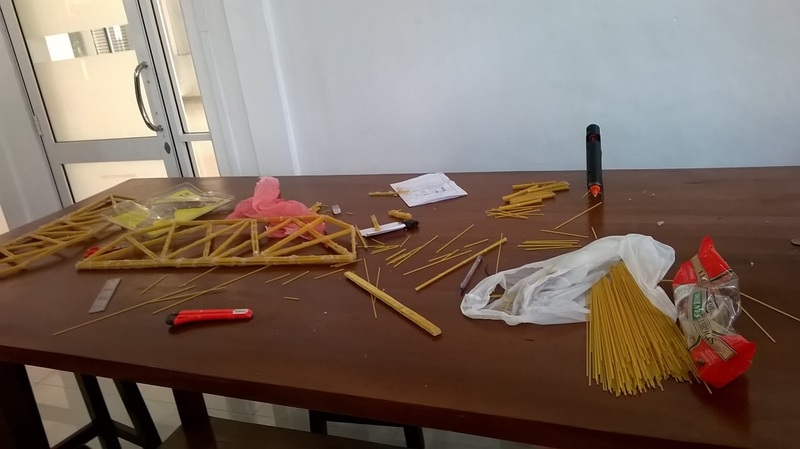 The motive of the competition was to give the students an opportunity to use their knowledge on truss analysis blending with their creativity to build bridges using spaghetti. 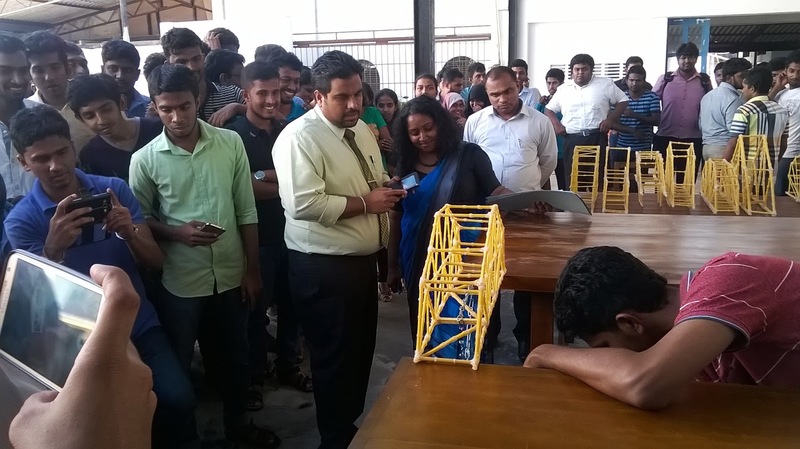 The competition was organized and carried out under the supervision of Dr M.P.K.C. 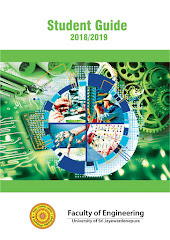 Nandapala. 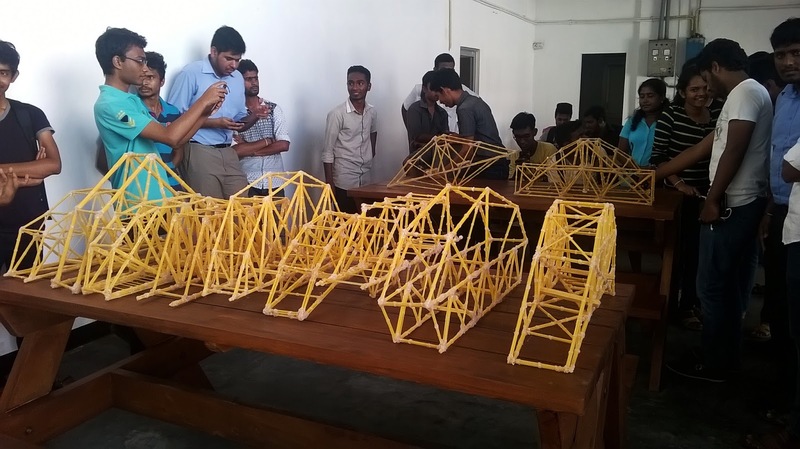 The students were divided into eight member groups, supplied with spaghetti and glue and were given two days to design & build their bridges. 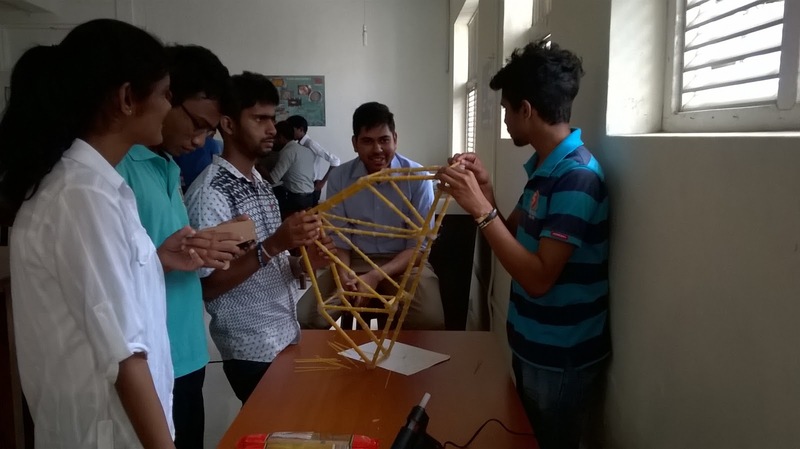 Students showed great enthusiasm in building their bridges and worked till late to complete them on time. Fifteen teams took part in the competition each with a bridge uniquely designed to achieve the maximum load per weight value. 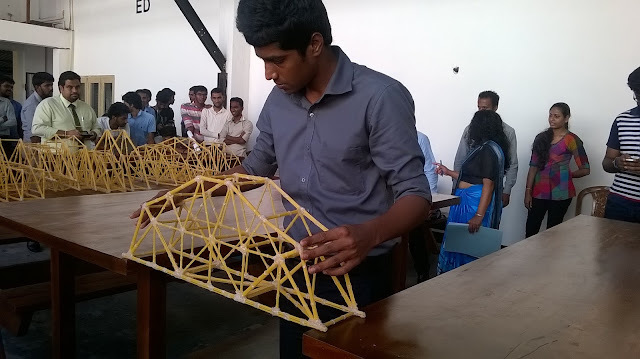 Innovative bridge designs created with students’ own imaginations and designs inspired by existing structures from around the world were on display in the competition. The Dean of the Faculty Dr Akila Subasinghe, Head of the Department of Civil Engineering Dr Chaminda Konthesingha and Faculty staff were present at the competition to witness the creative talents of the students. 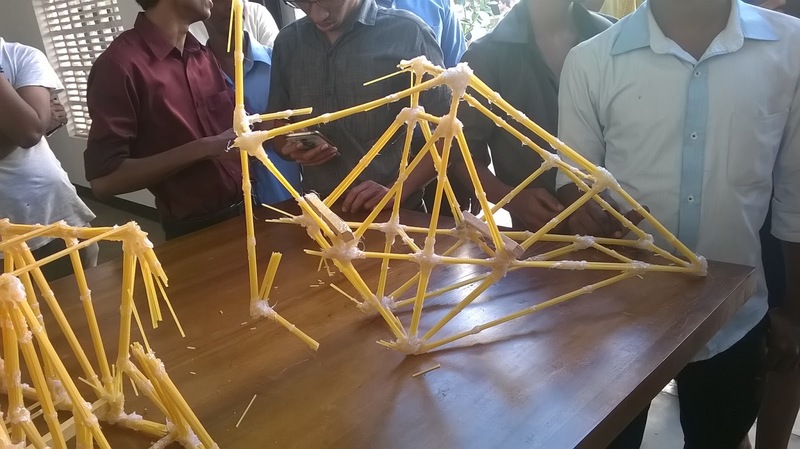 The bridges were first scrutinized under "IESL spaghetti bridge competition" guidelines. 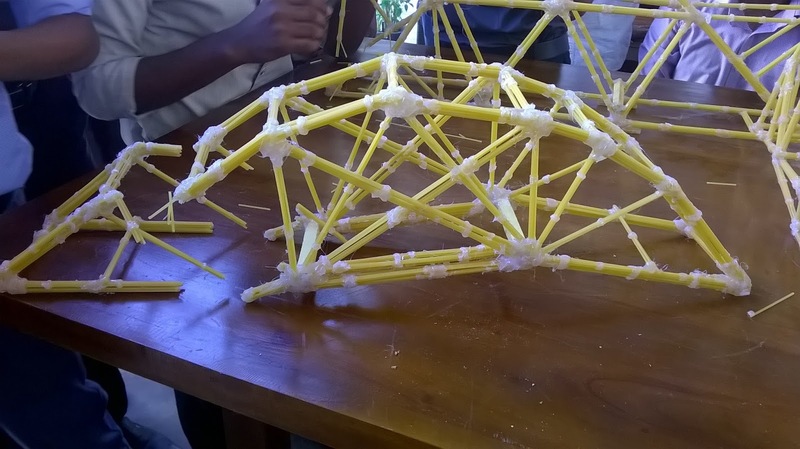 The bridges were loaded with weight till the structures collapsed. 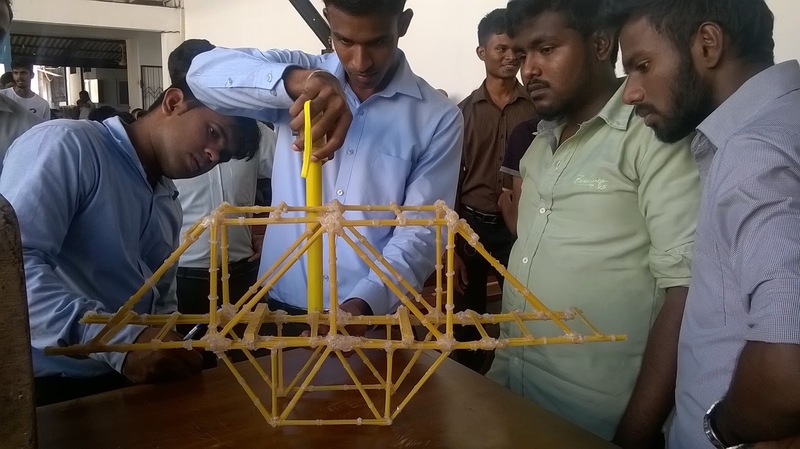 The maximum applied load per weight of the bridge was calculated in determining the winners. Students had to find solutions to many issues aroused while constructing the bridges, an experience which cannot be gained otherwise. They also got the opportunity to use their knowledge on a practical application. 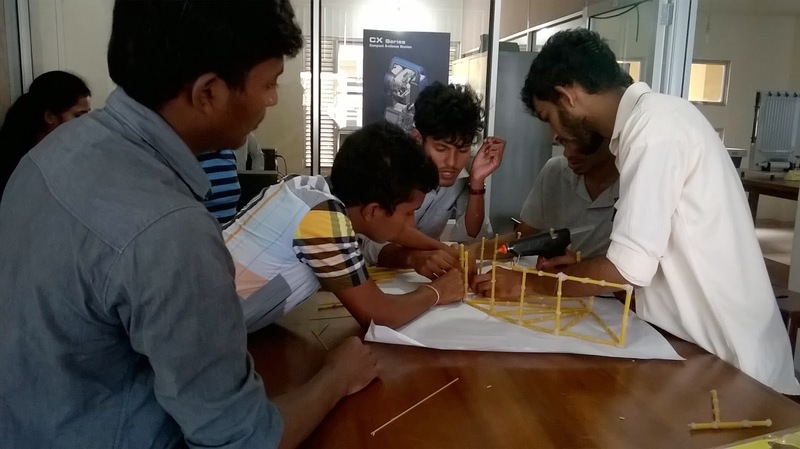 Everyone enjoyed the competition regardless of victory or defeat, learning many lesson such as team work, consistency, and accepting a challenge & completing it with responsibility, which are also lessons for life.